The Driven Brands Charitable Foundation(DBCF) spread early holiday cheer on Wednesday at Levine Children’s Hospital in Charlotte. 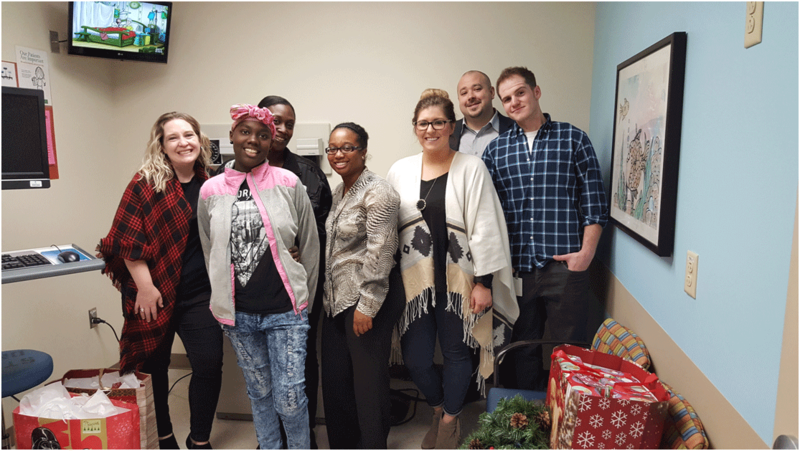 Employees from Driven Brands were able to bring gifts to every inpatient child at the hospital thanks to the annual Driven Brands Holiday Auction that raised more than $15,000 this year. Five representatives from DBCF and Driven Brands delivered the gifts to the children that included toys for all ages. The children received games, stuffed animals, Legos, headphones, book, crafts, Matchbox cars and other miscellaneous toys to help bring a smile to their faces while receiving treatment at Levine Children’s Hospital. The hospital has roughly 150 children as inpatients every day. In addition to the gifts for the children at Levine, the DBCF also “adopted” a family in need in the Charlotte area this holiday. The Foundation was able to purchase clothes, toys, household items, holiday decorations, as well as gift cards for food and gas. One of the main initiatives of the Foundation is to change the lives of children and families in need within its local communities. The DBCF made donations to two additional children’s hospitals, SickKids Canada and the Children’s Hospital in New Orleans with funds from the auction. The annual auction was open to employees, more than 2,500 Driven Brands franchisees and customers throughout the country.For more information on the Driven Brands Charitable Foundation or to make a donation visit www.DrivenFoundation.com.